Research is the soul of science nature has blessed Chhattisgarh with far flung sylvan wilderness and breathtakingly amazing wildlife and biodiversity. 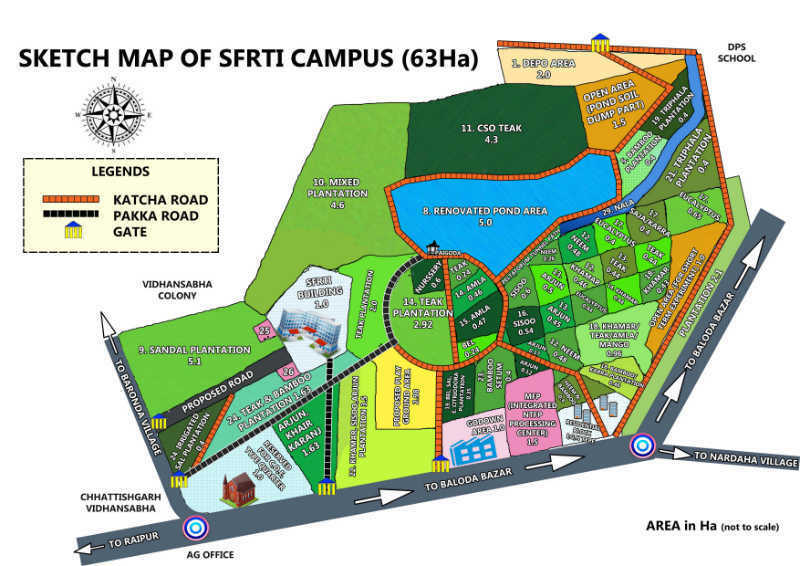 SFRTI is our humble tribute to the nature for the furtherance in the field of forestry research. forestry research in Chhattisgarh State endowed with 44% forest, to establish a State level forestry research and training institute foundation stone was laid in 21st March 2006 and stared functioning in 17th March 2013, majestic institute building constructed in 9544 Sq mtrs was inaugurated by the Hon'ble Chief Minister, C.G. Govt. 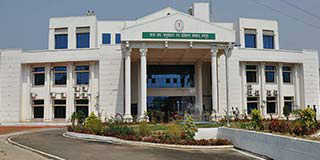 The institute is located at zero point Raipur in a lush green campus spread over a sprawling area of about 63 ha. To promote Extensive Research, its application to the field and Training in forestry and related issues. To increase/maintain the area of forest cover and its density in Chhattisgarh by introducing the best management practices. To increase the productivity of Forests. To uplift economic condition of people by generating forest base activities. To ensure lab to land transfer of technology in a short span of time for the benefit of forestry and the local population. Director is the chief executive of the Institute, he is assisted by an additional director, Joint director, assistant director, research (technical) and non-technical staff.